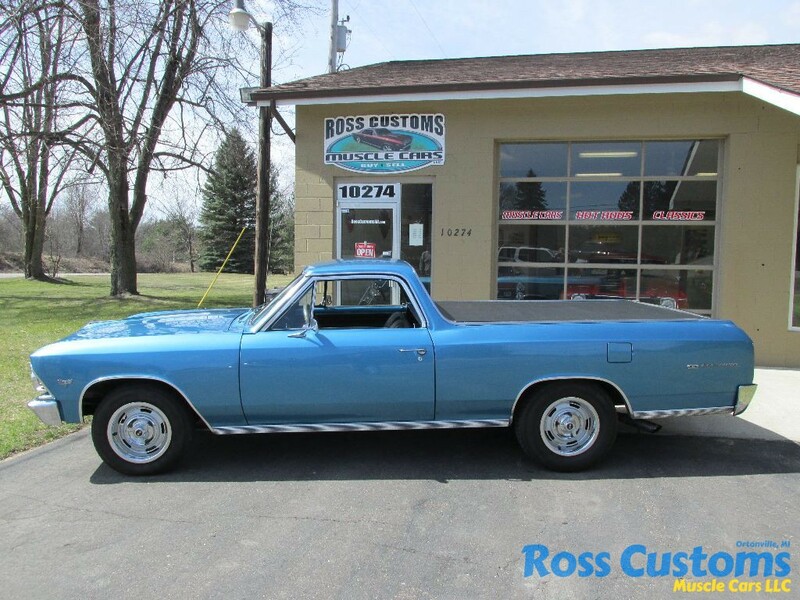 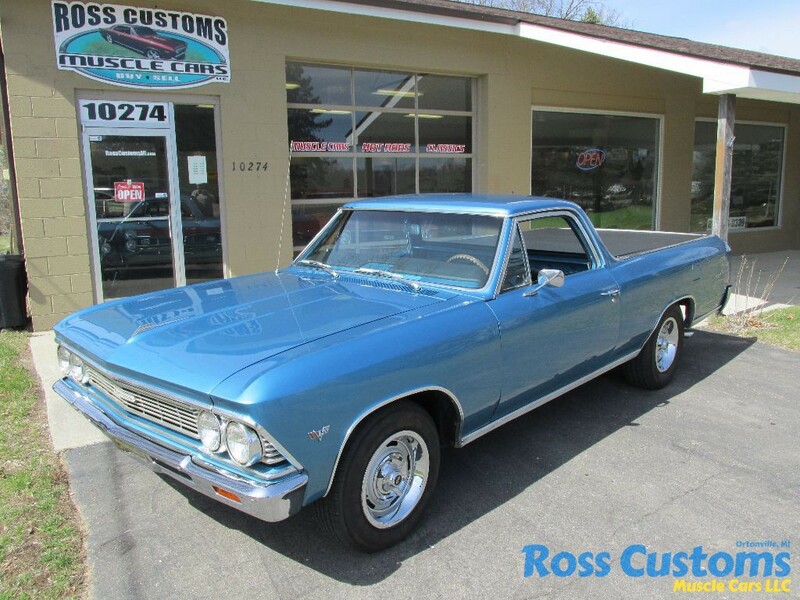 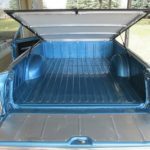 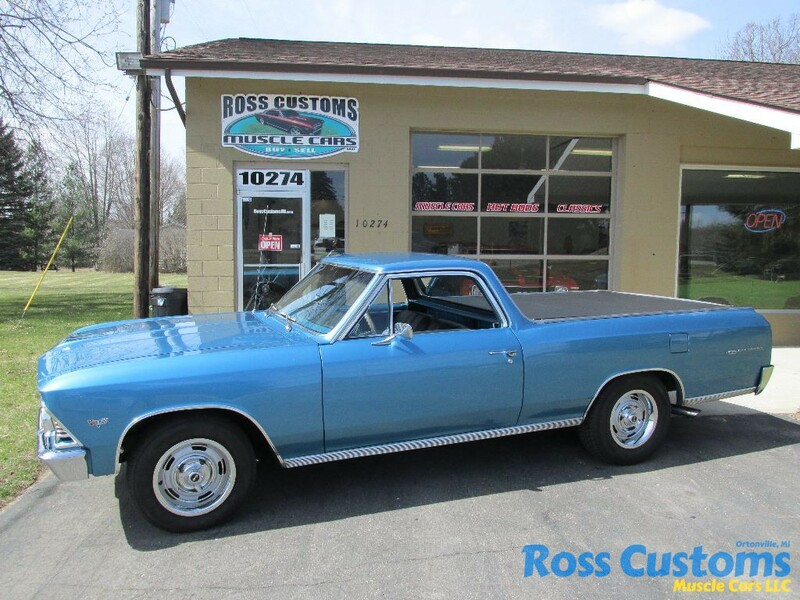 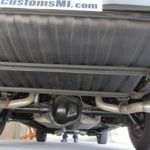 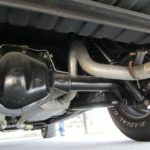 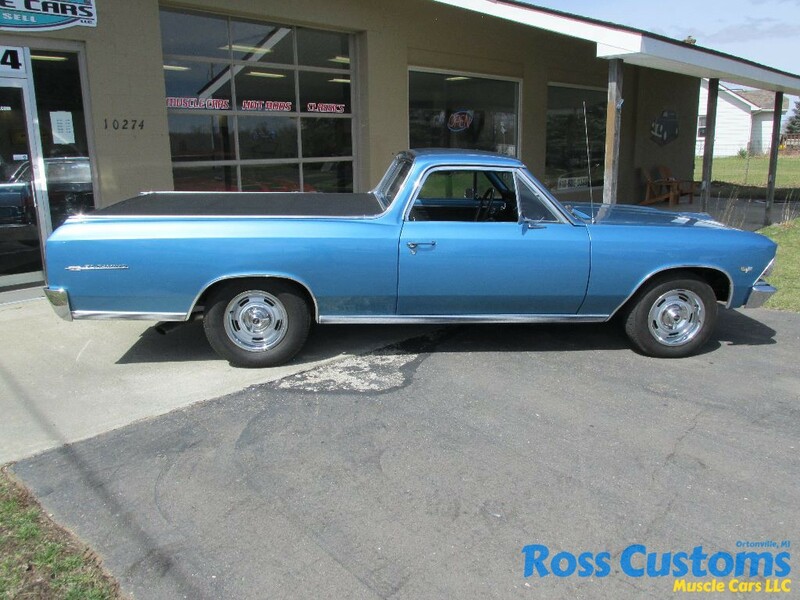 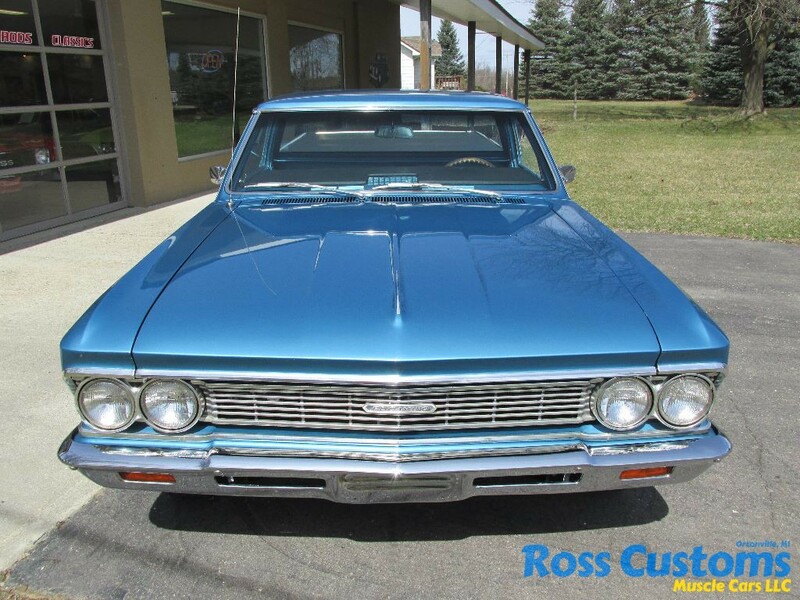 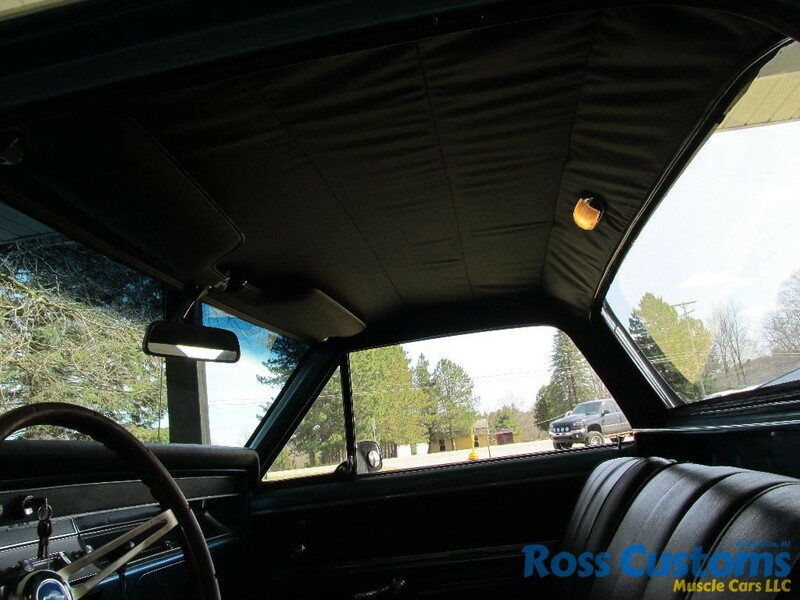 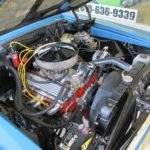 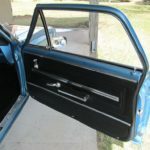 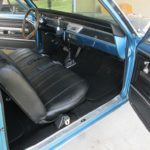 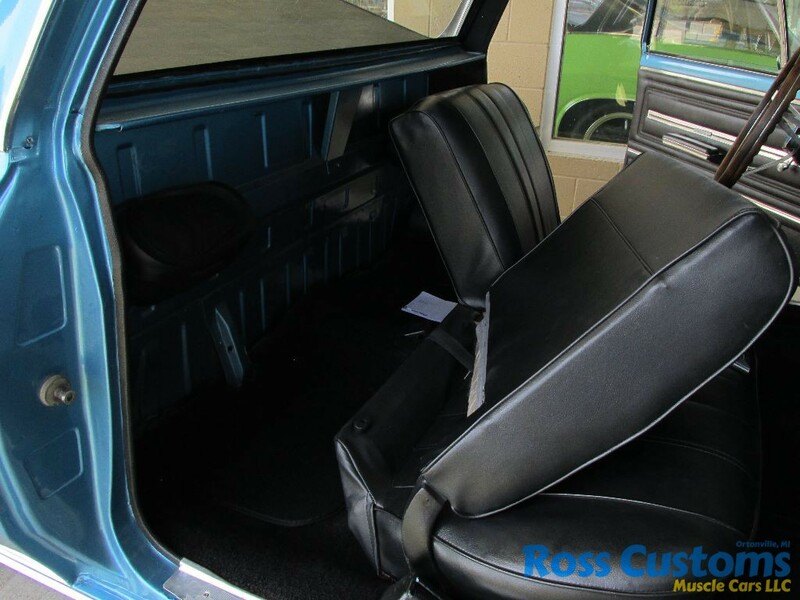 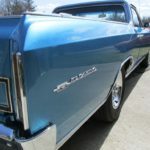 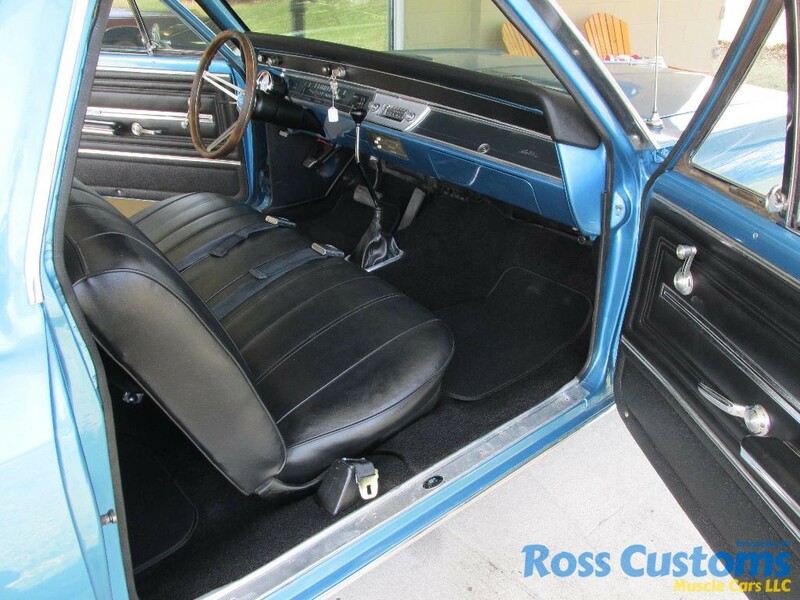 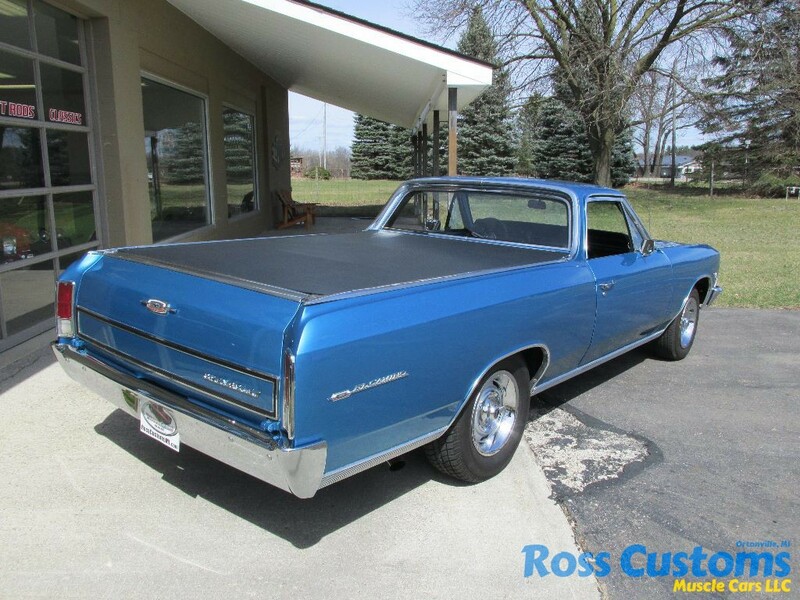 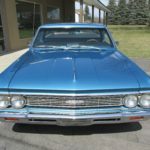 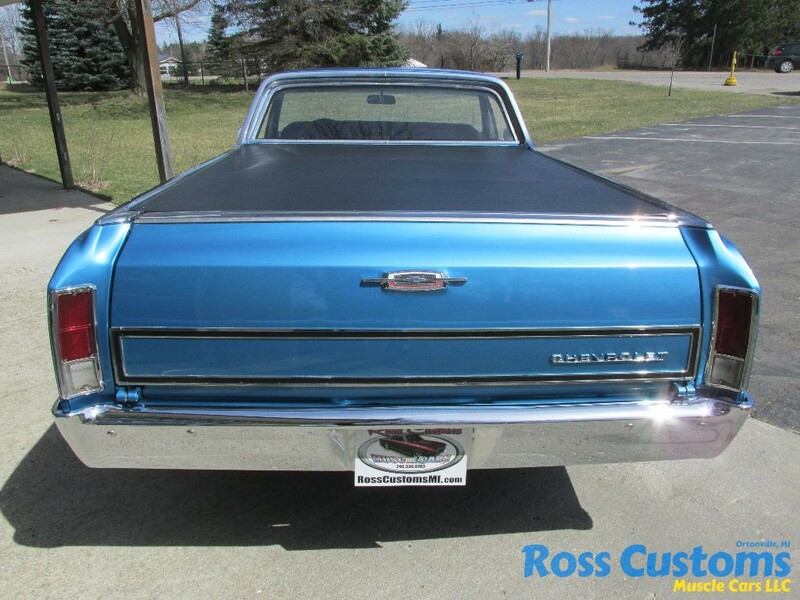 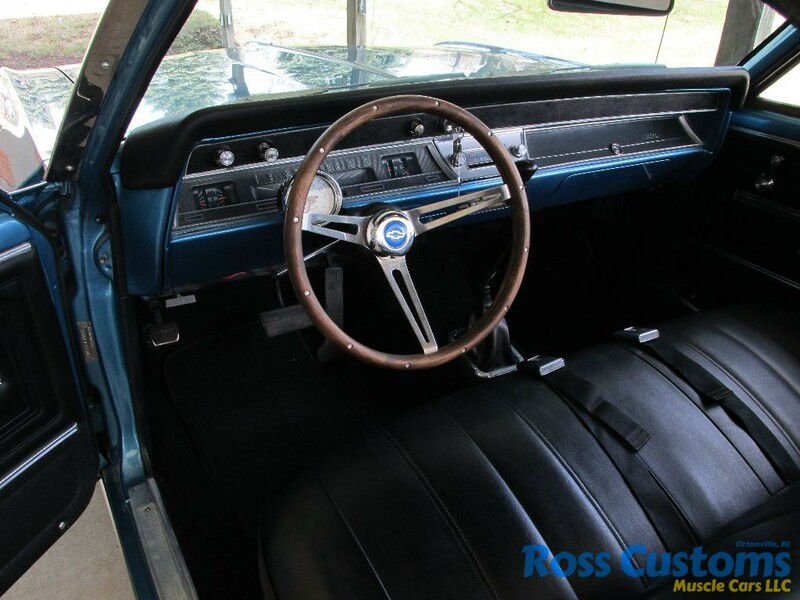 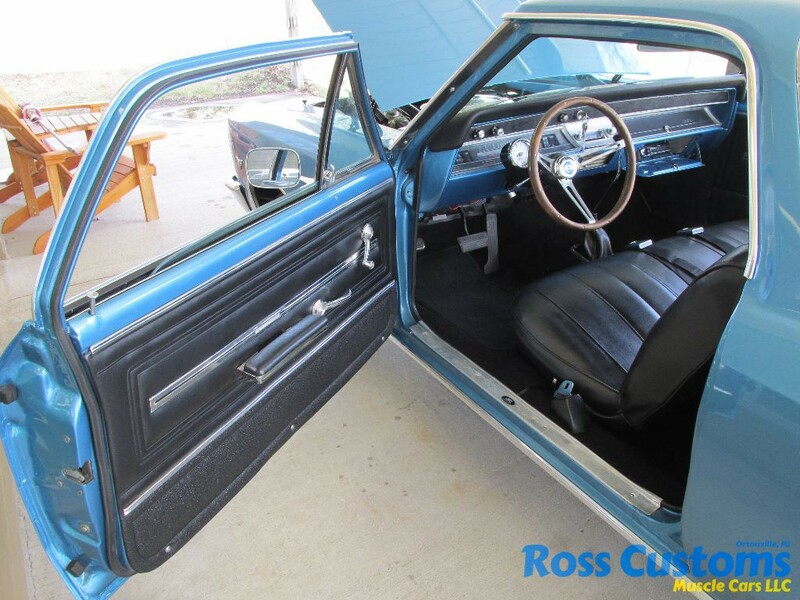 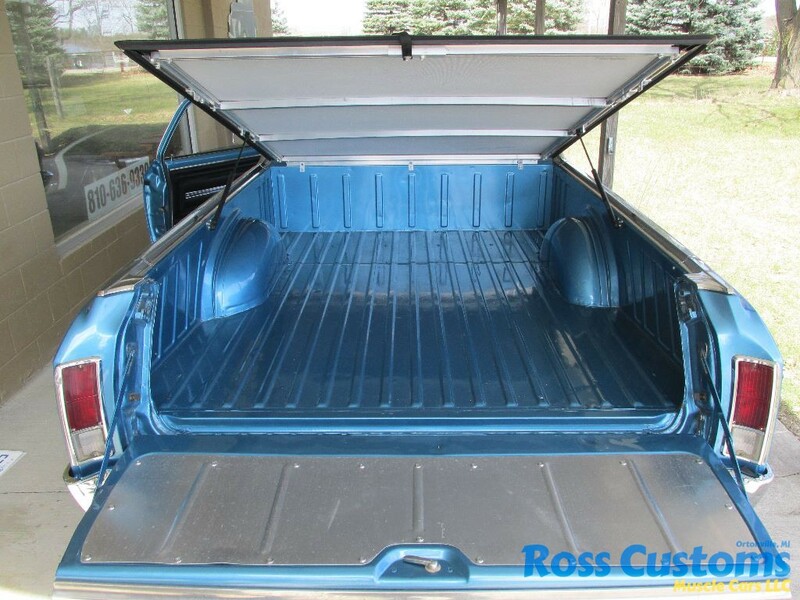 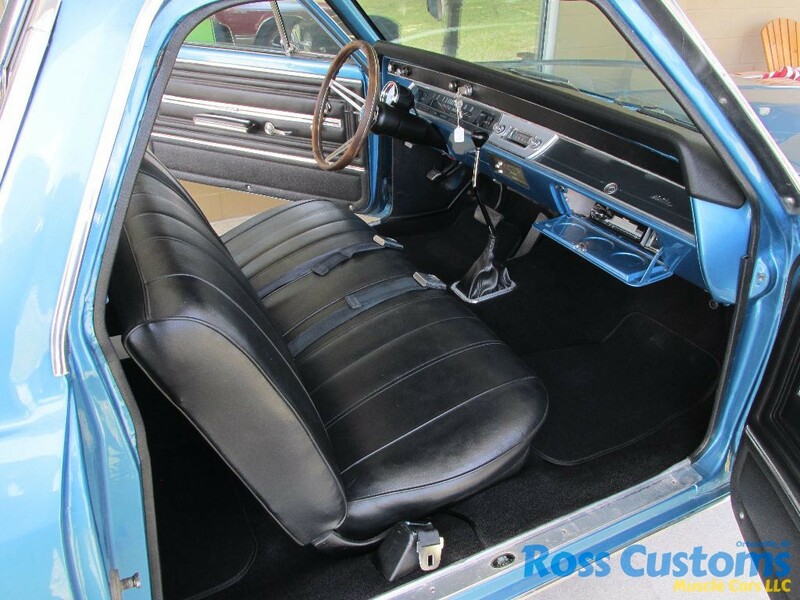 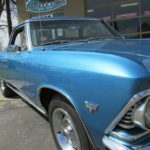 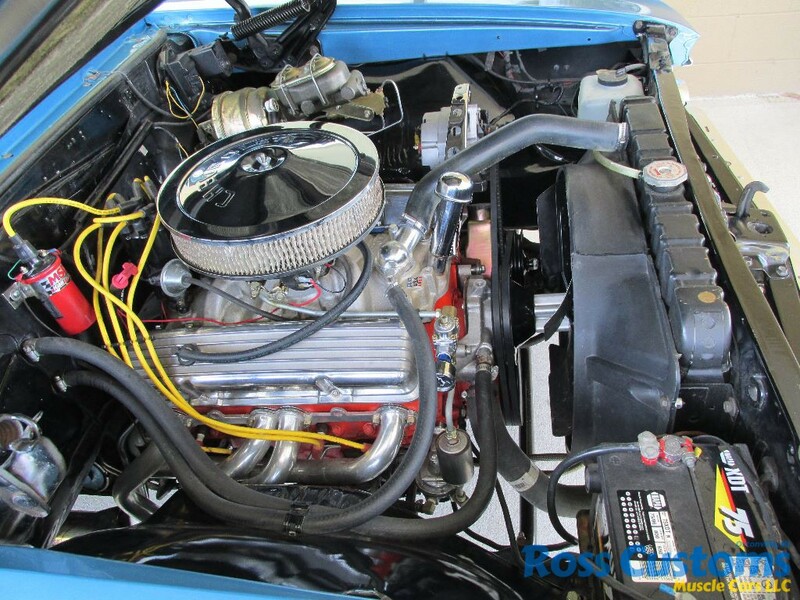 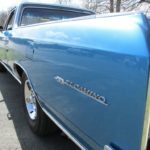 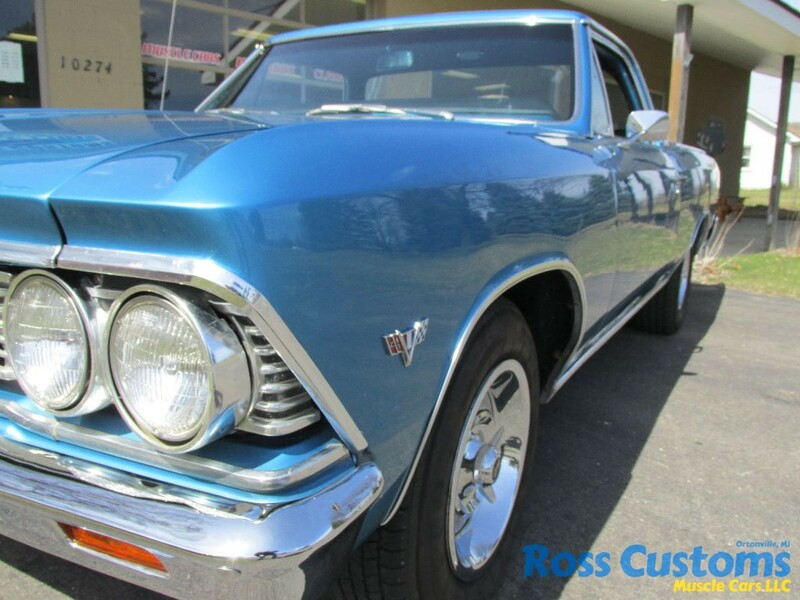 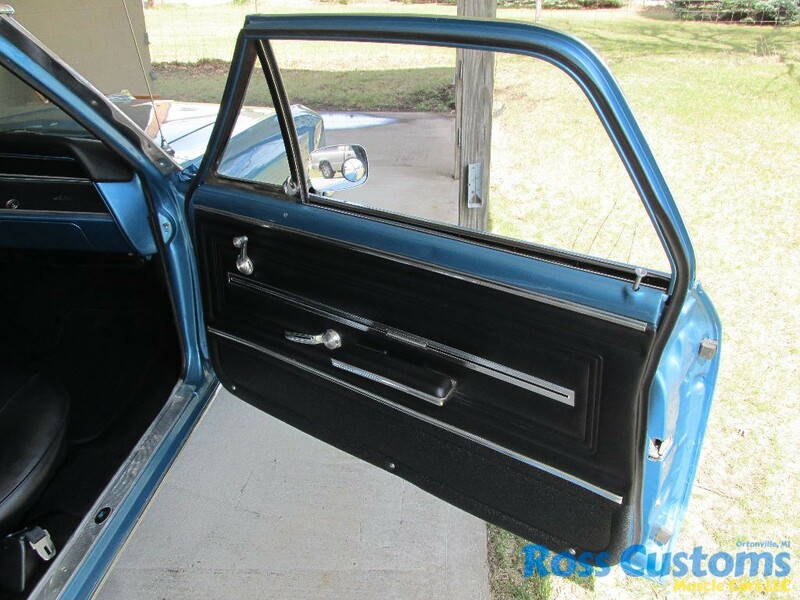 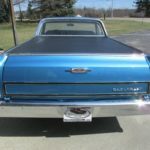 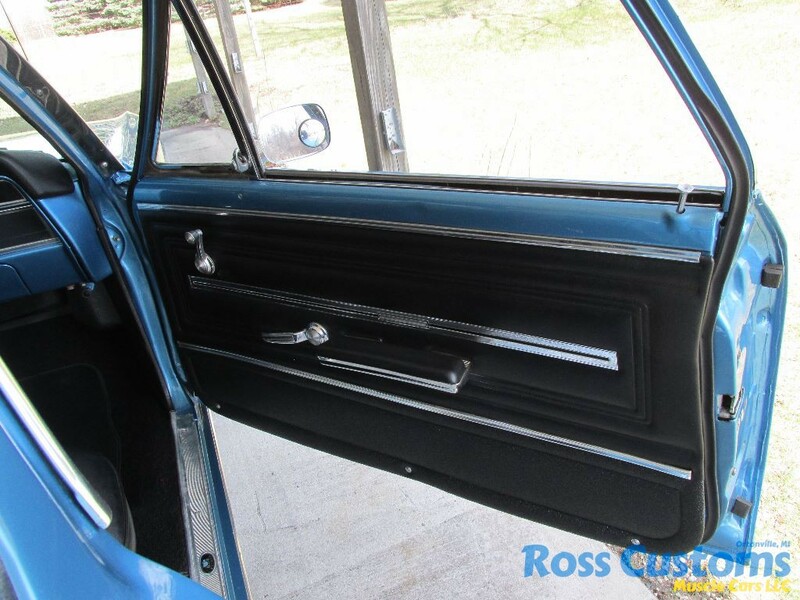 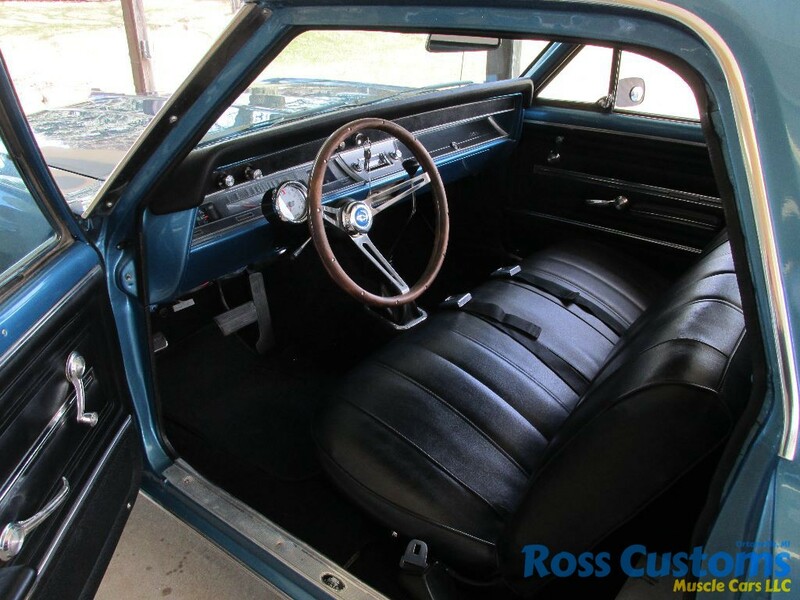 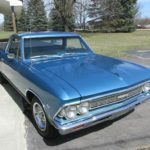 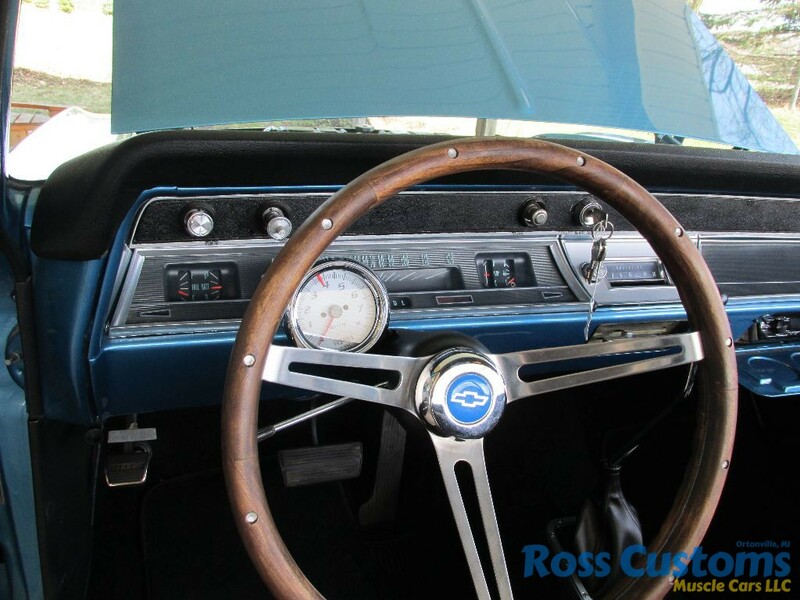 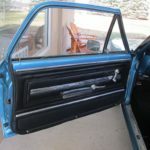 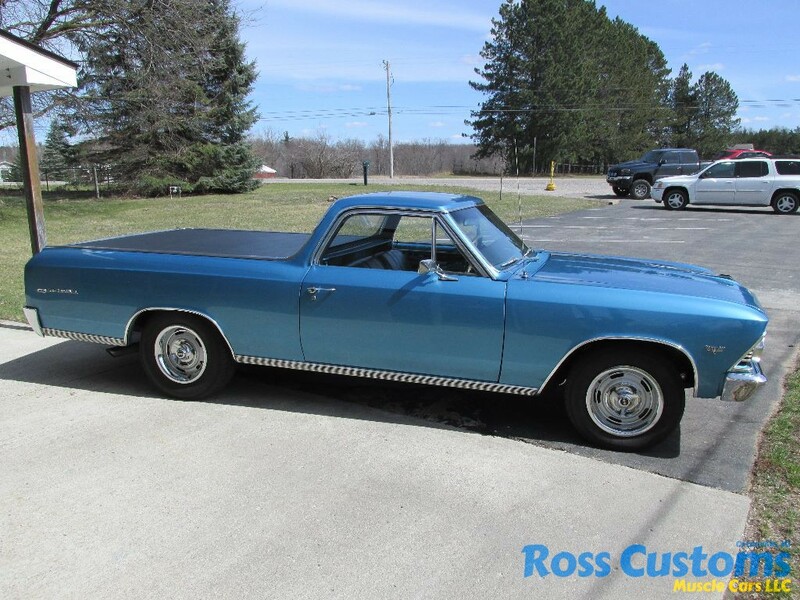 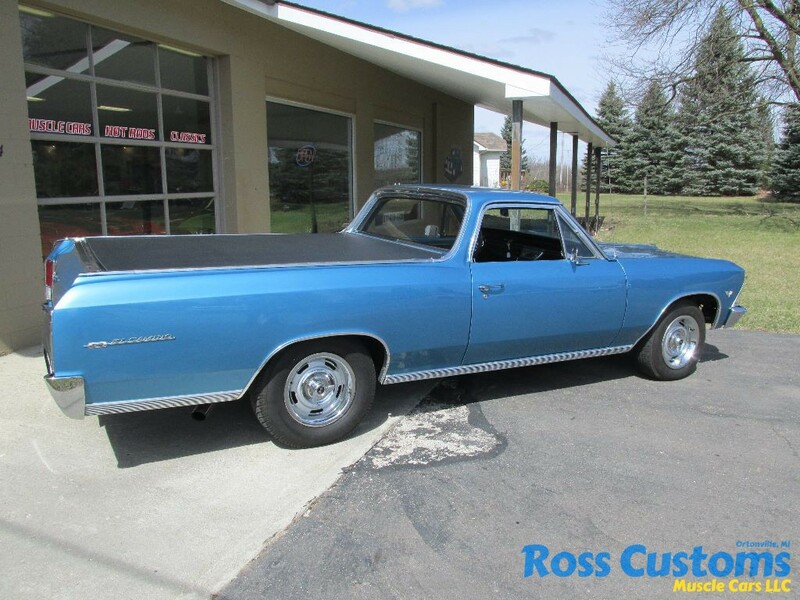 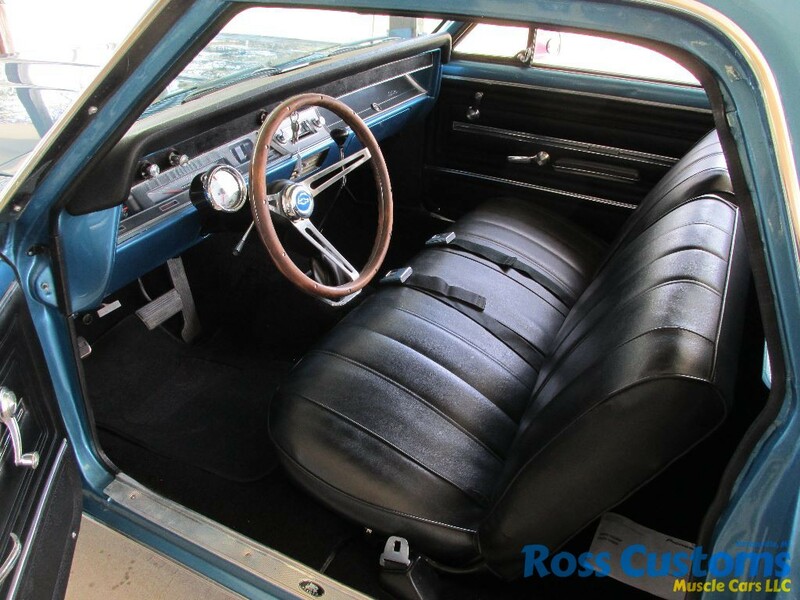 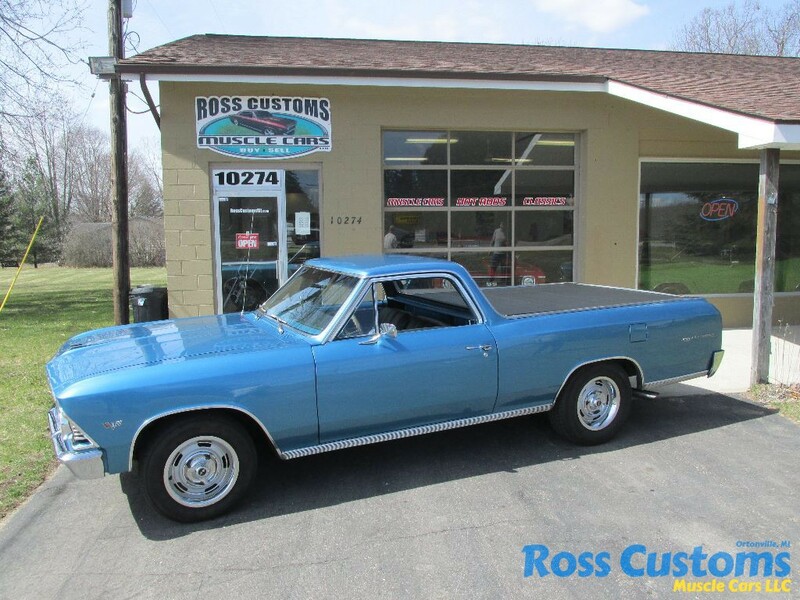 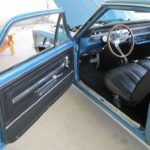 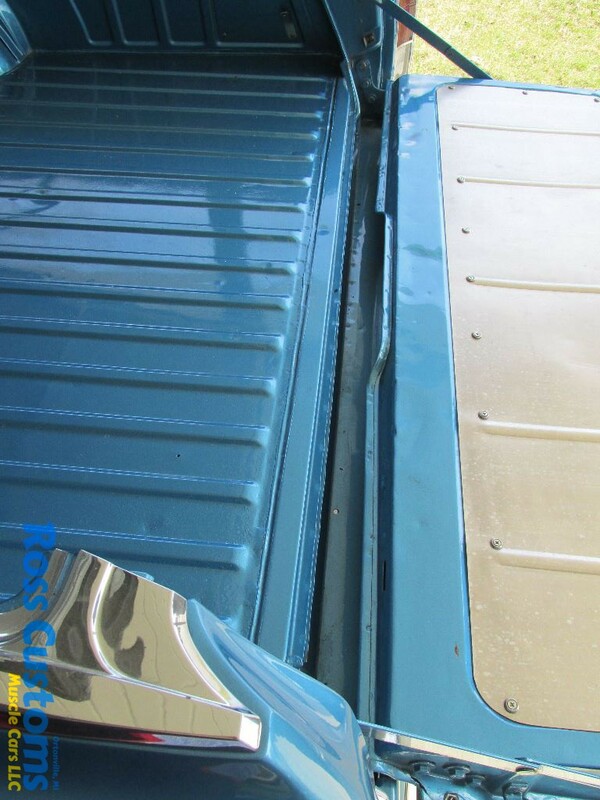 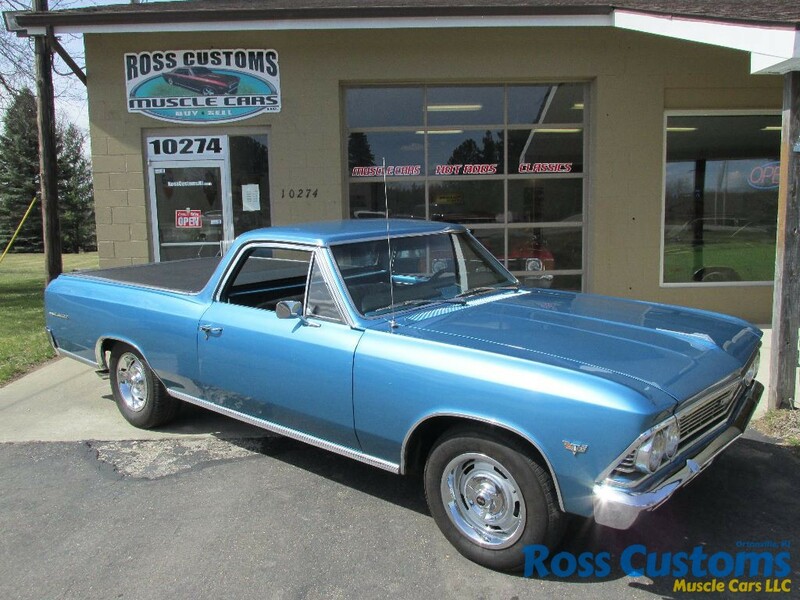 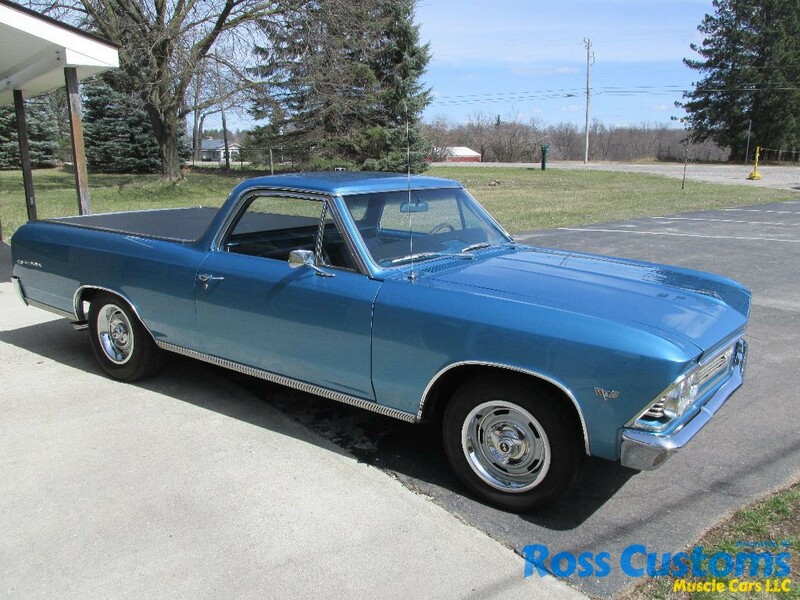 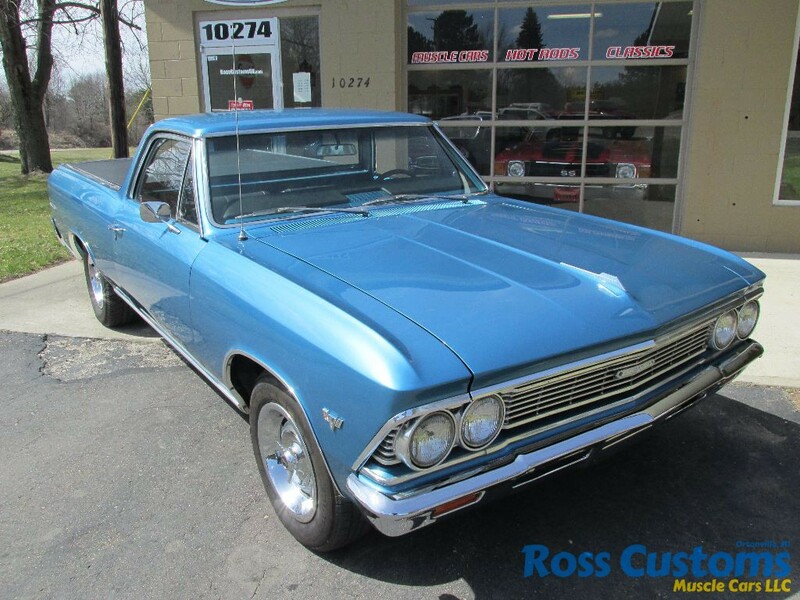 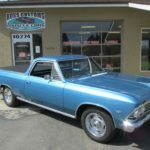 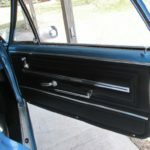 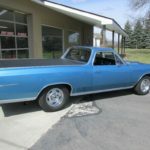 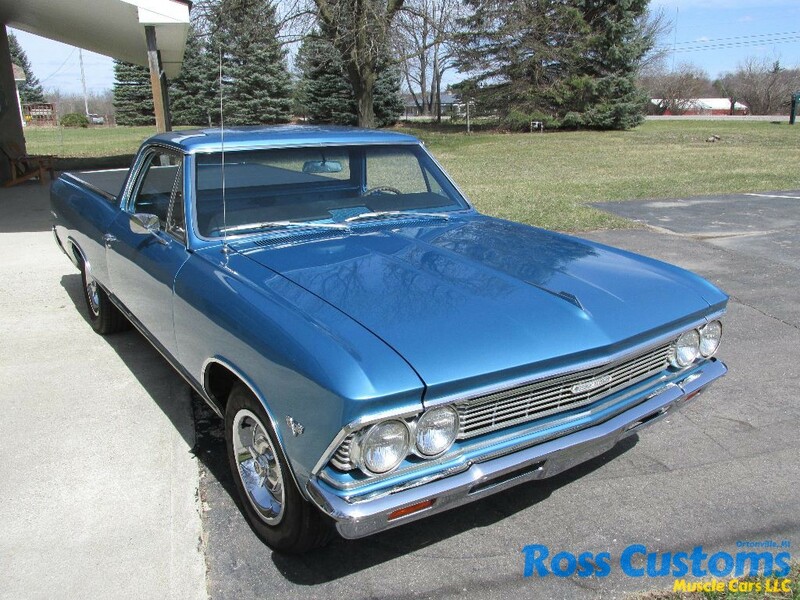 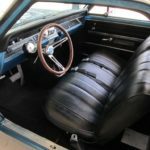 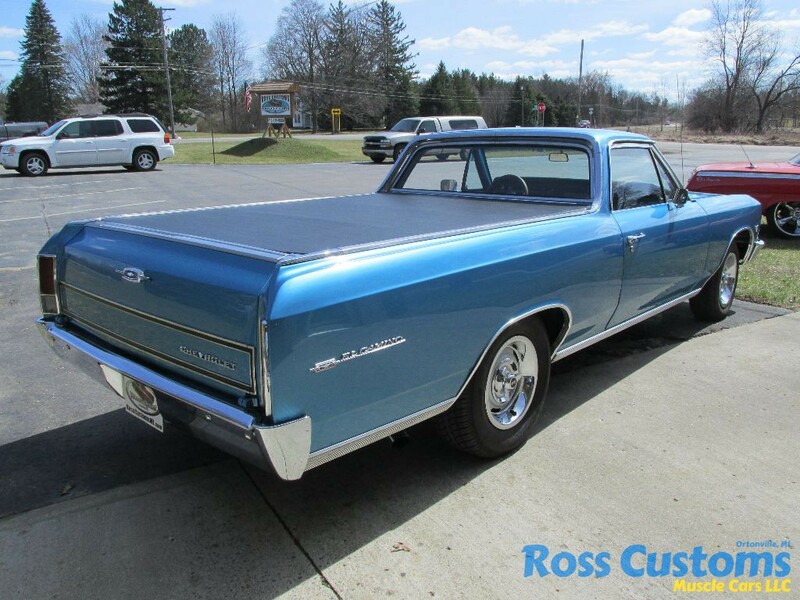 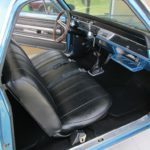 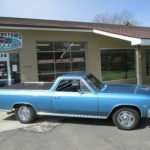 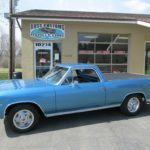 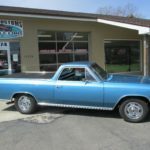 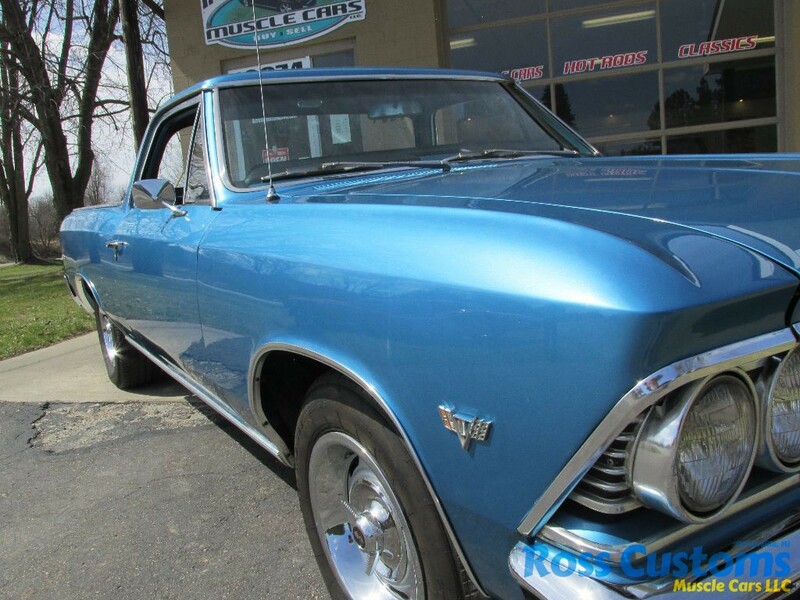 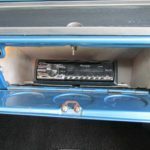 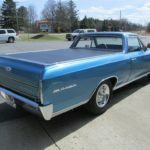 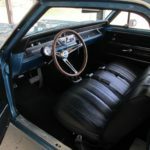 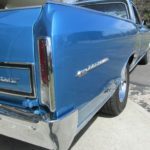 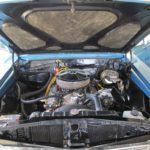 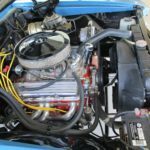 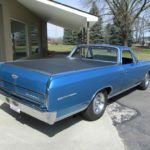 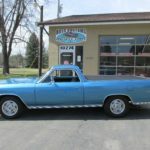 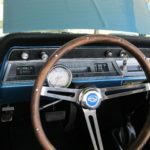 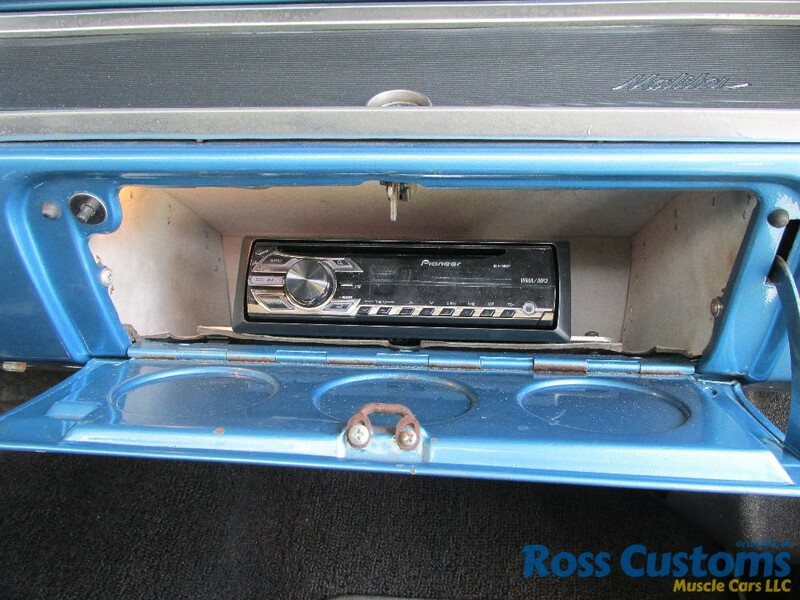 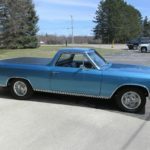 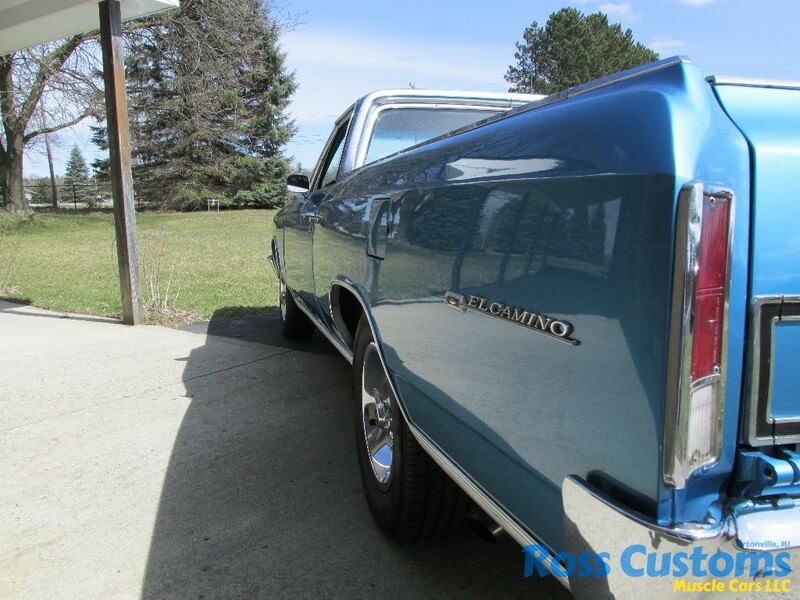 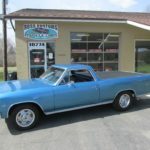 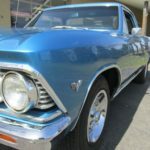 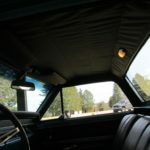 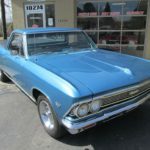 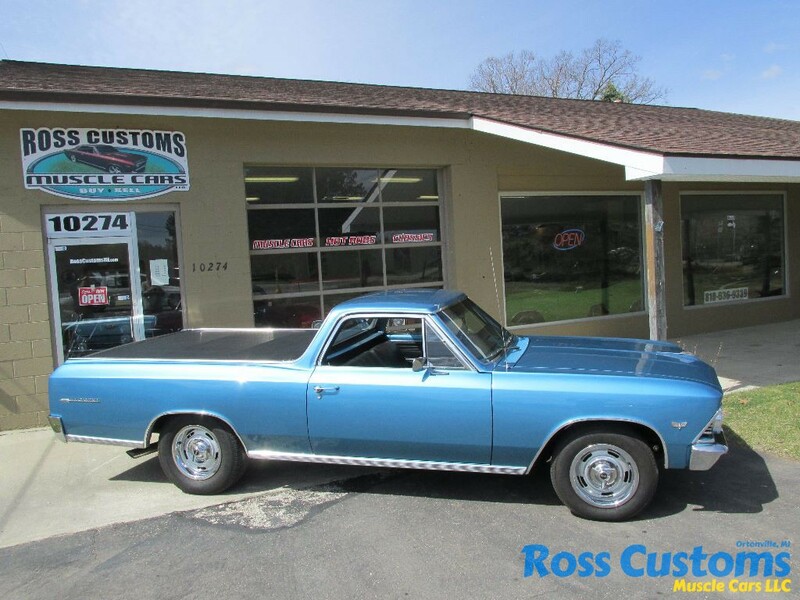 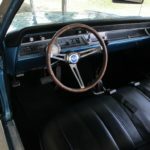 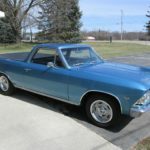 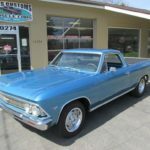 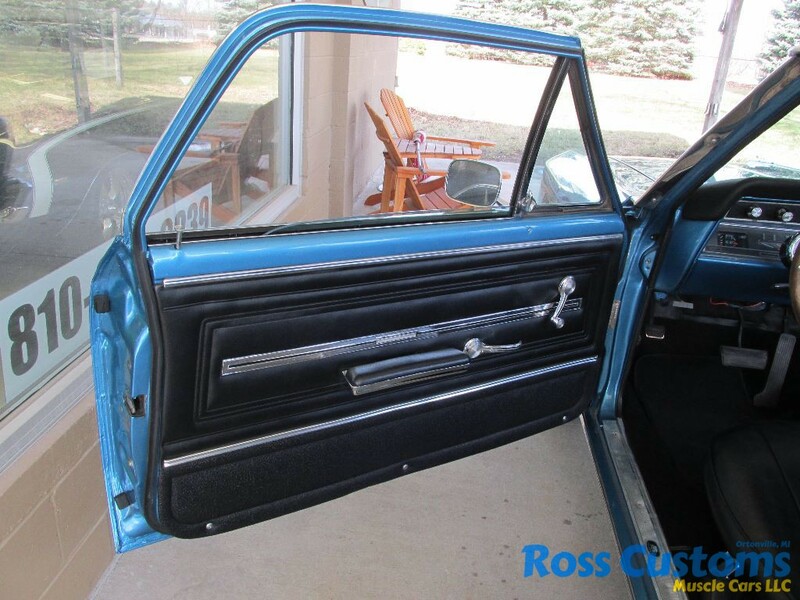 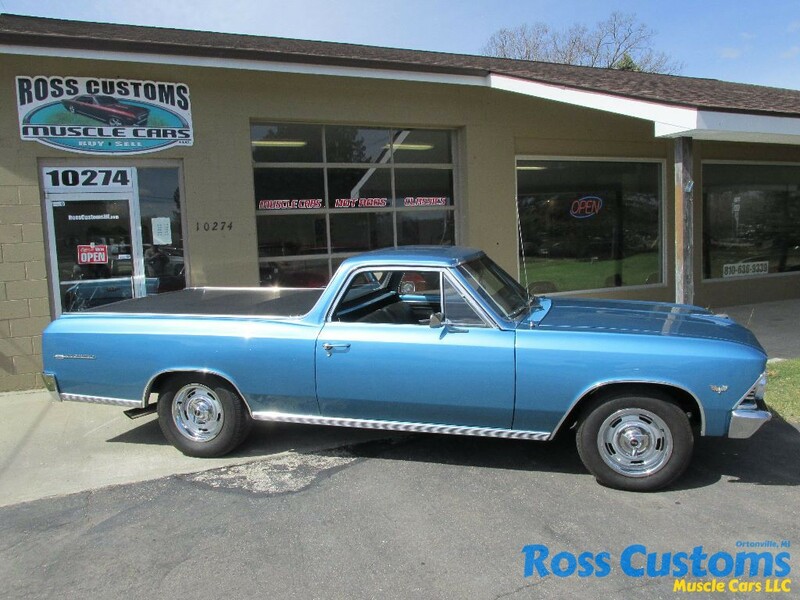 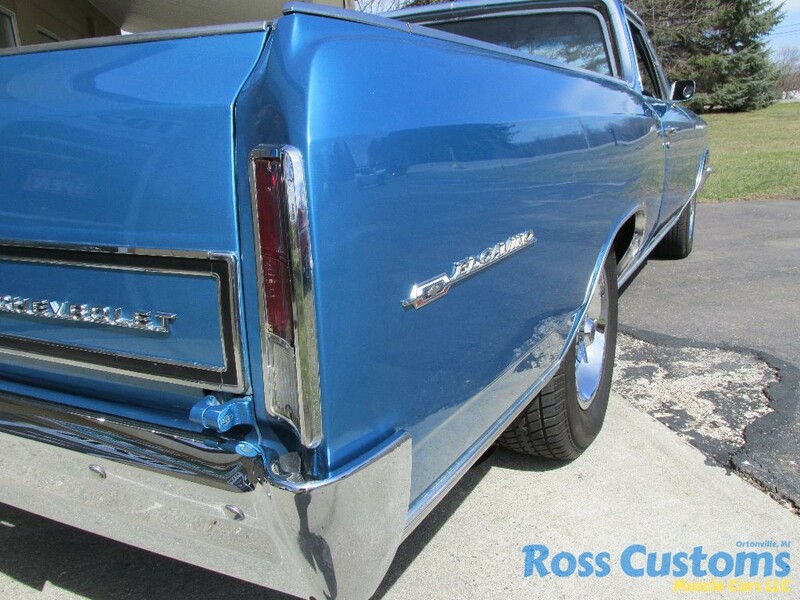 This is a “COOL” 66 El Camino built in California – did most of it’s life out west, has undergone a recent restoration with any cool upgrades, repainted is original LeMans Blue base coat clear coat wet sanded and wheeled slick as glass straight as an arrow, new front and rear bumpers, new hood and eye brow moldings, new door handles, new wheel well trim – all other chrome and stainless is original in excellent condition, new weather stripping and felts, been nicely outfitted with a flushed mounted tonneau cover-so there are no snaps screwed into molding, new windshield – all other glass is original in very good condition. 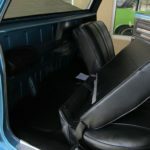 Interior has been completely redone, factory dash, factory SS gauge package, new dash pad, tach nicely mount on column, 3 spoke sport wheel, AM/FM/CD Sony stereo with remote nicely mounted in glove box, speakers mounted behind seat, new headliner, new door panels, new carpet, seat covers appear to be new, factory seat belts, nicely outfitted with LowKar 700R4 overdrive shifter with custom leather boot. 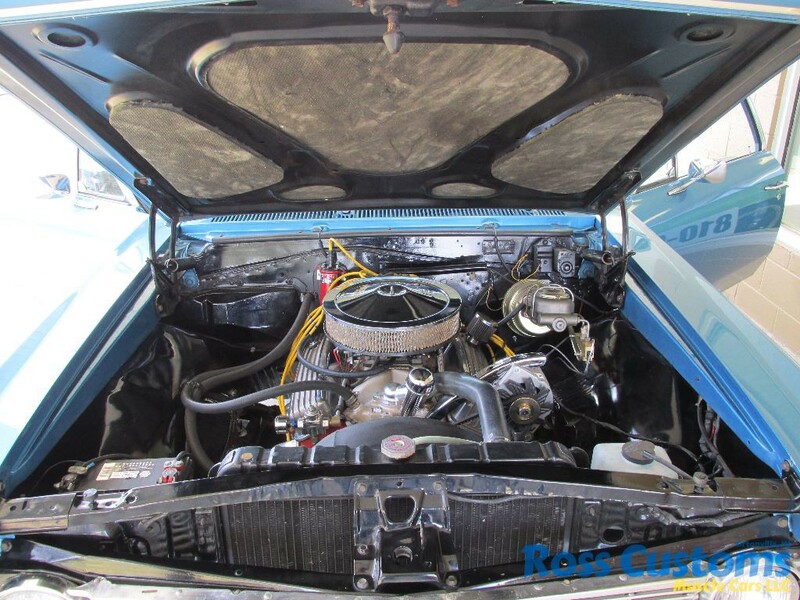 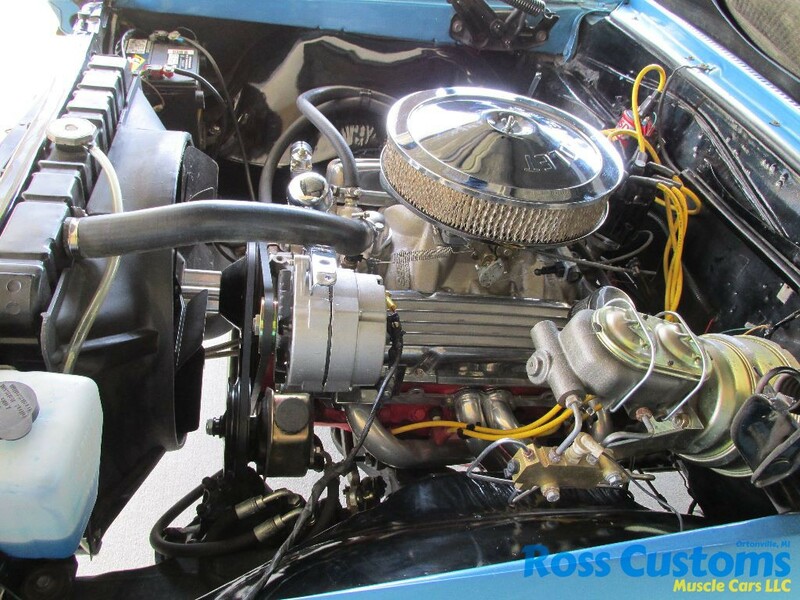 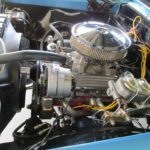 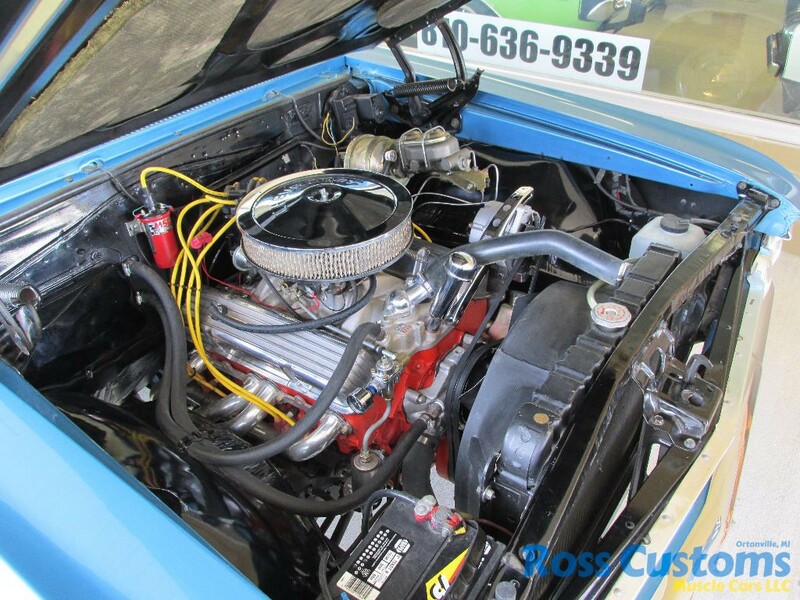 Under the hood we have the original 300 horse 327 which has been rebuilt and updated with large cam, Edelbrock aluminum intake, Edelbrock 4 barrel carb with electric choke, updated ignition with MSD coil, aluminum high flow water pump, 80 amp 1 wire alternator, polished aluminum valve covers, chrome breather, nicely updated with power steering, power 4 wheel disc brakes (factory type up front and Wilwood rear disc), all new front suspension – ball joints, control arm bushings, tie rods, power steering gear box, updated with a 1 inch front sway bar, also been updated with 700R4 overdrive automatic transmission, ceramic coated headers into 2 1/2 inch mandrel bent dual Flowmaster exhaust out the back with stainless tips, also has been nicely updated with Dana 60 rear end with 355 posi, disc brakes with parking brake, performance tubular upper and lower A arms. 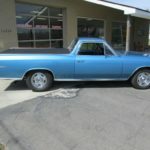 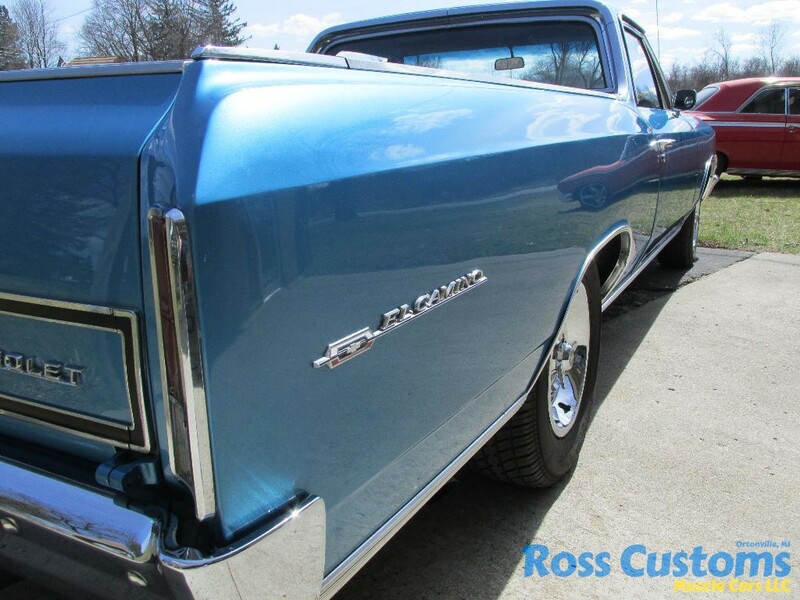 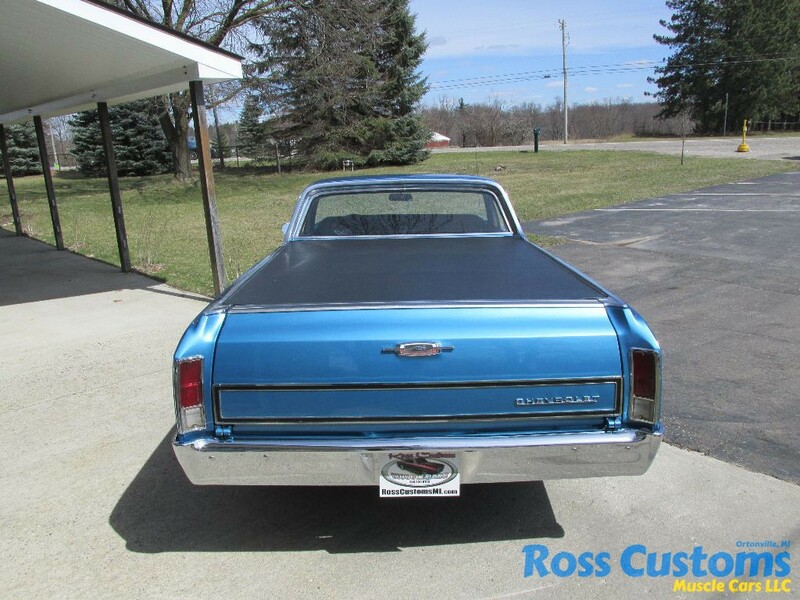 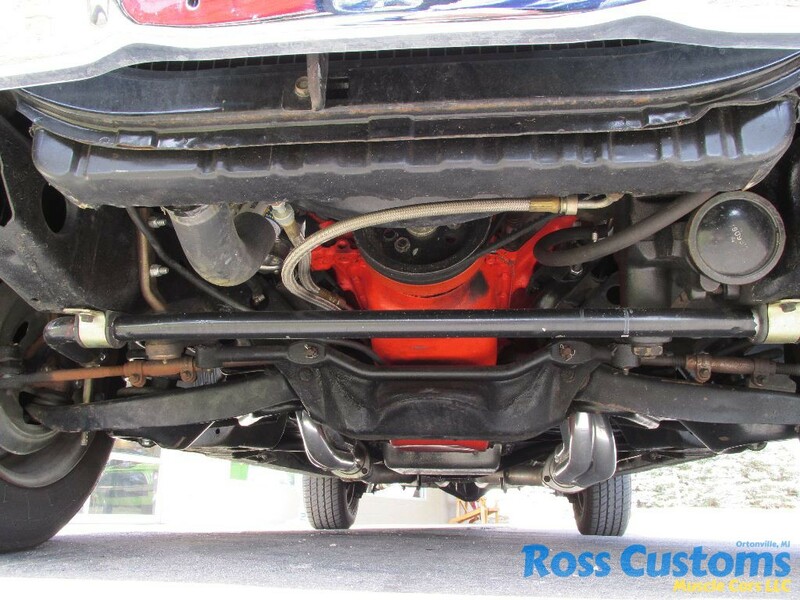 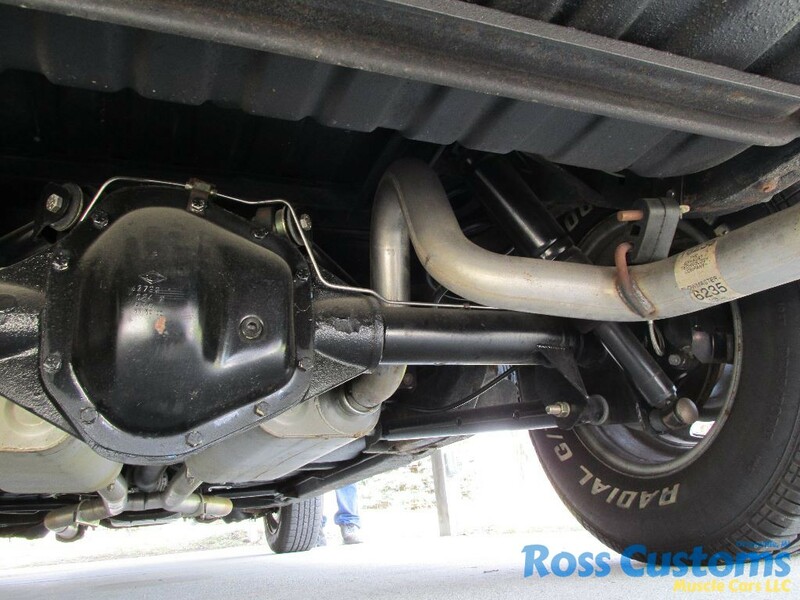 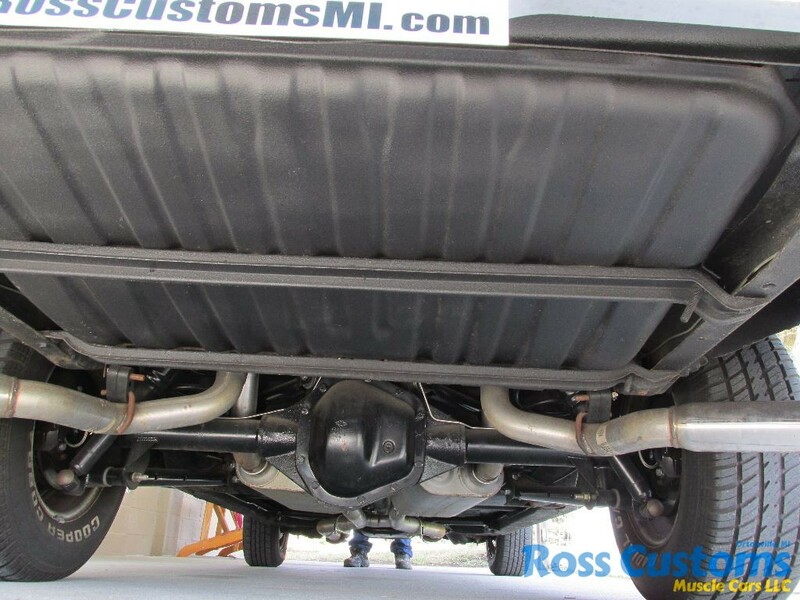 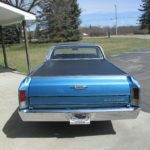 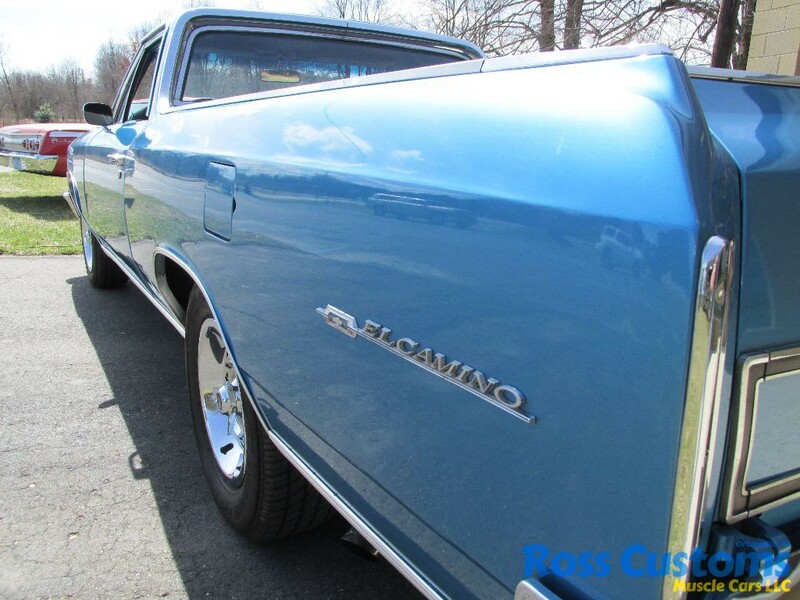 Rides on a set of 15 inch Chevy Rallys with spinner flat caps 205/70 front and 235/70 rear. 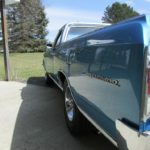 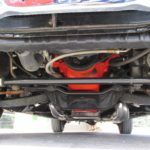 Everything on this car works as it should, its as “Blast” to drive, excellent car to take to any local show or cruise night.